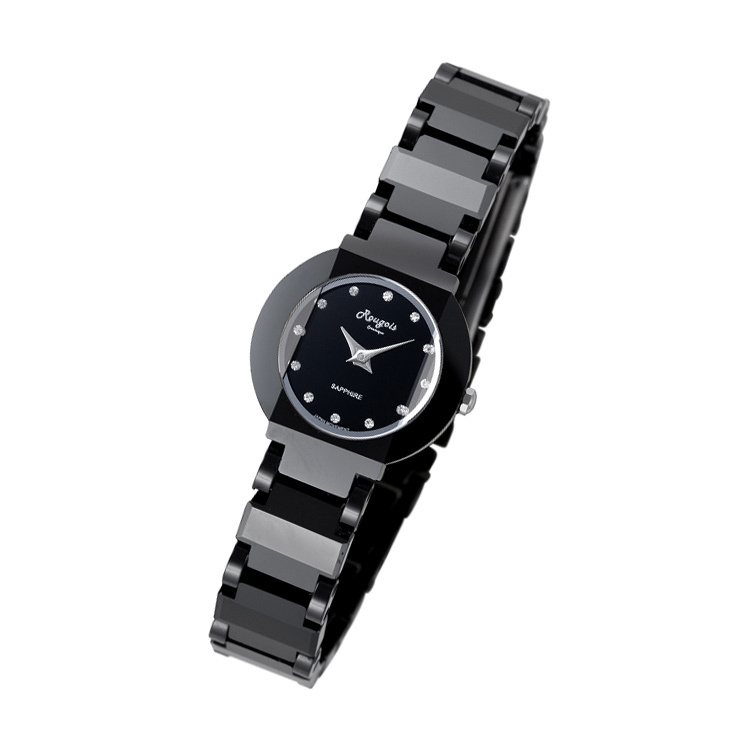 Rougois Women's Ceramic Bracelet Watch. This watch has a round ceramic case and a stainless steel back. The logo, "Rougois", and "Ceramique" are displayed below 12:00., "SAPPHIRE" is next to the 6:00 position. Silver-tone hour and minute hands and markers along the number of hours.